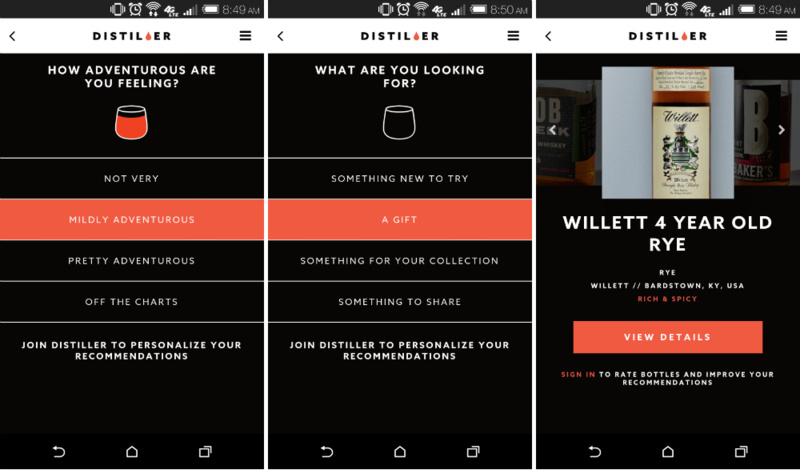 Distiller is a website that allows users to search for whiskey. If you need a gift or are just feeling adventurous, the site’s library of labels will undoubtedly have something you would like. Users can search by price, ratings, origin, and much more. Today, the site launched its official Android application to Google Play, bringing the same web-based experience right to your smartphone. The app itself is pretty much a condensed version of their website. Not that it’s limited, but it is by no means a native Android app. Much like on their site, most of the experience is geared towards finding yourself a new bottle of whiskey. Once you determine what the bottle is to be used for, like a night around the fireplace or a night of poker, you then decide on how much you’re willing to spend. After that, the app will choose for you the perfect bottle of whiskey. If you fancy yourself a lover of the firewater, go check it out for free on Google Play.